Please don’t tease the animals. However, you are encouraged to bray, roar, and howl with a cuddly menagerie at the convention, which features panel discussions on costuming, music, and dancing; video game and comic book vendors; improv skits; and art exhibits by and for furries, or people who enjoy modeling animal-mascot costumes and other customized ensembles known as fursuits. Furry fandom, which celebrates anthropomorphic characters, formalized in the 1980s as an offshoot of sci-fi/fantasy conventions. It has suffered some image problems, such as when an episode of CSI erroneously conflated furries with plushies, or plushophiles, a separate subculture of people who sexually fetishize stuffed animals. He falls into the latter category, sporting a small feline charm with his civilian clothes. “I’ve always loved big cats and especially liked The Jungle Book when I was a kid,” he says, noting that a percentage of FWA admission fees supports the Conservators’ Center, an exotic animal sanctuary in North Carolina. Furries are big on honoring their muses. Nationally a few dozen whimsical couturiers specialize in fursuits, which average $2,500 but may top $10,000 if they include animatronic effects. These outfits are not a requirement for attendance at the convention, and some revelers slack off with just ears and a tail or no costume at all. Occasionally a Storm-trooper, seemingly lost from Dragon-Con, wanders into the mix. 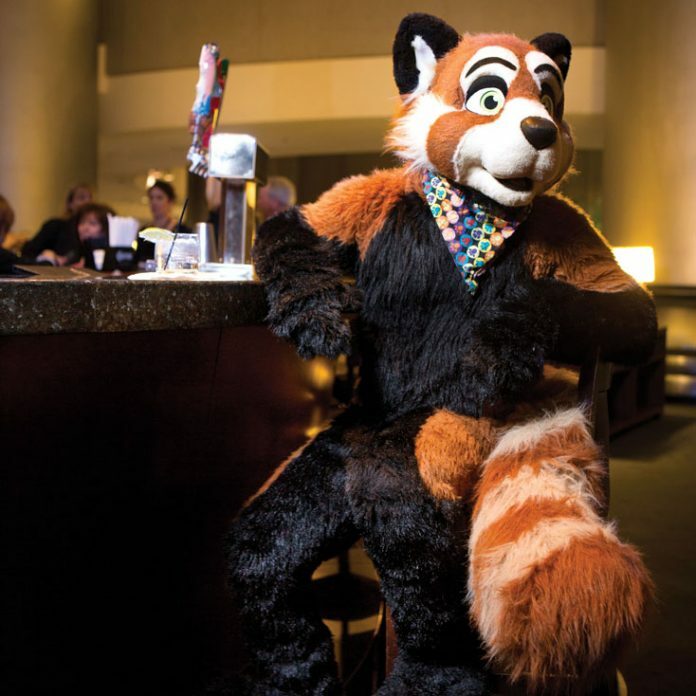 “Fursuits are usually either cute and cartoony or growly and feral,” says Tiger Paw, who moonlights as a red panda in his less ferocious moments. “We’re subject to trends like any other group,” says Tiger Paw. “For a while, wolves and huskies were hot, and lately otters seem to be gaining steam.” While these critters are as diverse as any other ecosystem, their human alter egos are predominantly male professionals in their early twenties. Happily for them, more women are picking up the scent and arriving in vixen-wear. This originally appeared in our March 2013 issue.